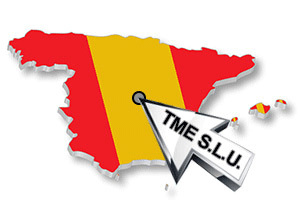 We are proud to inform that TME has opened their office in Spain. This is our sixth foreign office. TME S.L.U. offer includes complete assortment of products offered by Transfer Multisort Elektronik sp. z o.o. Now, invoices will be issued by a Spanish branch with a VAT rate binding in Spain.